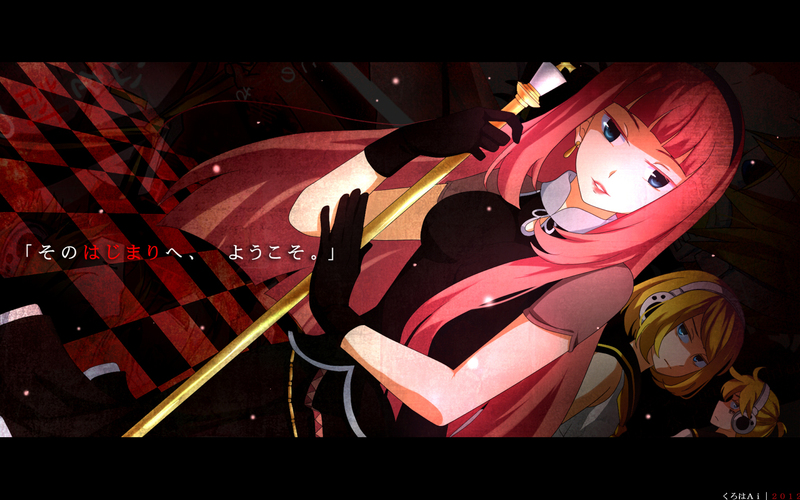 5th song from OwataP's Benzene Series, sung by Megurine Luka. It supposed to be a riddle-solving brainwashing song, but the majority of the lyric is censored. The composer said that the lyric was a code. Frustrating. OMG, yes! People, PLEASE, put the signatures on your walls, otherwise they WILL get deleted for not meeting the requirements. Other than that, nice wall, I like the colors and your style! Yes, your signatures is needed for such a wonderful picture! Really love the work and color on it. I like the image, but the black bars of doom certainly turn me off. I love the overall color scheme with the checkered floor, and the fact that you drew the characters yourself is awesome <3 I myself like the "black bars of doom" because they give me a convenient place to put my icons without covering your lovely image.